ORIF is the abbreviation for a procedure called open reduction internal fixation which is meant to repair compound bone fractures or severe breaks. "Open reduction" implies that broken bone is being realigned using surgery (as opposed to a closed reduction performed without surgery). "Internal fixation" refers to the hardware used to ensure that the bone is stabilized and held in place so that it is able to heal. While there have been significant advances in orthopedic surgery and ever-increasing rates of success, recovery is largely dependent on the severity of the break, the type of bone involved, the extent of post-operative rehabilitation, and the age of the individual. The first stage aims to reposition the broken bones to restore their normal alignment. This is called fracture reduction. Every effort is made to ensure the bones are set at the right angle with as few spaces and surface irregularities as possible. The second stage is the internal fixation. This can involve the use of different types of implants to hold the broken bones together and provide reasonable stability during the healing process. Types of internal fixation devices include metal plates and screws, stainless steel pins (Kirschner wires, or K-wires), and stabilizing rods forced into the cavity of the bone (called intramedullary nails, or IM nails). A cast is typically applied after surgery. For certain leg and ankle breaks, different types of cast may be used during the healing process: a non-weight-bearing cast used with crutches for the initial stage and a weight-bearing one when the healing is further progressed. 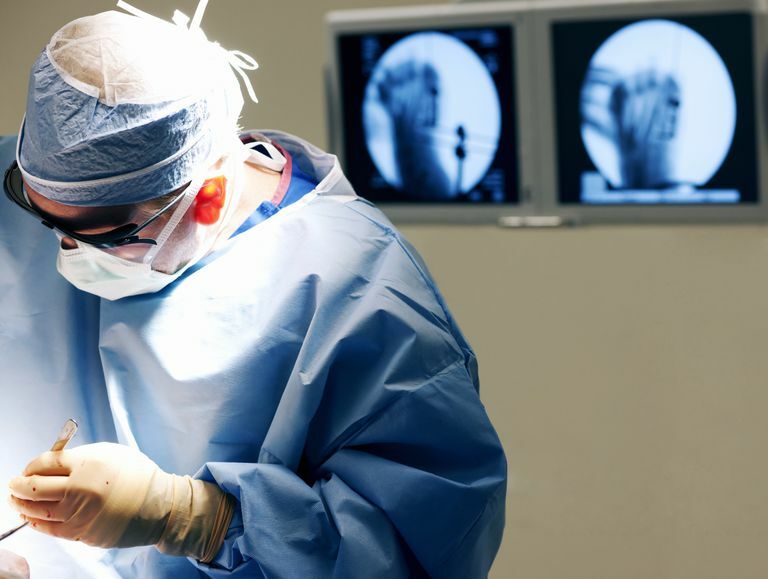 While most orthopedic implants are designed to stay in the body permanently, there are times when a second surgery may be needed a remove an implant that is there solely to support the bone during healing. This is sometimes the case with a severe fracture of the tibia (shin bone) or femur (thigh bone), or when an external device (called an external fixator) is used. Recovery from an open reduction surgery can be painful. Acetaminophen with Codeine is commonly prescribed; non-steroidal anti-inflammatory drugs (NSAIDs) like ibuprofen, by contrast, are generally avoided as they can slow down the healing process. Stronger painkillers may be prescribed for more serious cases. In most cases involving severe or compound fractures, the benefits of ORIF surgery outweigh the consequences. With that being said, any "borderline" case in which a closed reduction is an option should be discussed with your orthopedic specialist. Side effects of open reduction surgery can include bacterial infection, audible snapping and popping, nerve damage, arthritis, loss of range of motion, shortening of a limb, and deformity. Many of these same symptoms can occur if you don’t undergo surgery. American College of Surgeons. "ACS TQIP: Best Practices in the Management of Orthopedic Trauma." Chicago, Illinois; 2014.